Exclusive everyday savings, support, and encouragement for your active lifestyle. ACTIVE Advantage, the premium membership program of ACTIVE.com, makes it more affordable to live your active lifestyle with VIP savings on events, gear and travel! The following benefits are just the beginning! ACTIVE Advantage allows members to compete in any endurance event – reimburses you up to $80 on your 3rd race!  ACTIVE Advantage members receive VIP discounts at Hotels.com. Book 4 trips and save an average of $64 per year. Exclusions Apply. * Benefit terms and conditions apply. View FAQs for details. * trial members not eligible. You're in our database! Just enter your password and we'll fetch the rest of your info. If you decide to cancel your ACTIVE Advantage membership, contact us at ActiveAdvantage@active.com or 866-561-0647. Once you click the Join Now button you will automatically have access to member benefits for a full year for $89.95, which we will automatically charge to the credit card entered below. Thereafter, unless canceled, your membership automatically renews for 1-year periods at the then-current membership fee, which we will automatically charge at the beginning of each new membership year to the same credit card. If you are ever dissatisfied with ACTIVE Advantage, contact us to cancel and to receive a pro-rated refund of the annual membership fee. Offer not available in Iowa and Vermont. For Visa, MasterCard, and Discover cards, the CVV code is the last 3 digit number located on the BACK of your card on or above your signature line. For an American Express card, it is the 4 digits on the FRONT above the end of your card number. Please do not click your browser back button. I have read, understand, and agree to the Active Advantage offer and billing terms and authorize active to charge the annual membership fee of $89.95 to the card listed above on the terms described above unless I cancel during the trial period. Begin your one month trial now and start saving today! After that, it's only for a full year of benefits, cancel anytime. Click the button below to log in to the Advantage site. You are already an Active Advantage member. You are being redirected to the homepage. You have already logged in, please refresh the current page. Please log in with this account or create a new account with a different email address.